Saturday Night Live has a huge diversity problem. Specifically, it has a huge diversity problem when it comes to hiring female performers of color (though its track record for hiring non-white men isn't exactly stellar, either). This isn't breaking news. The show is constantly called out for it's overwhelming whiteness and yet, somehow, every year, it manages to only get whiter. So who's to blame? Lorne Michaels? NBC? Our country's exhausting and terrible history of institutionalized racism? 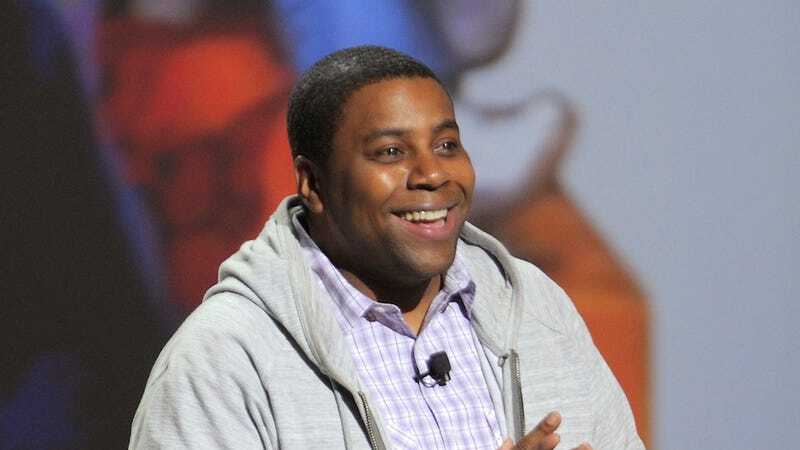 Well, Kenan Thompson, one of two black performers on SNL's current cast, has a theory and it might surprise you: He's blaming the quality of black female performers. In an interview with TV Guide, Thompson announced that he is no longer willing to play women in sketches (in the past, he's played Whoopi Goldberg, Maya Angelou and pretty much any other African American woman to appear on screen). Great. Expecting him to constantly portray women is condescending to both him and the person he's portraying. So who will play black women now? Not a black woman, apparently. According to Thompson, none of them are "ready." Instead of blaming showrunner Lorne Michaels or the series, which currently only employs three actors of color out of 16 cast members (Thompson, Pharaoh and the Iranian Nasim Pedrad), Thompson blames the lack of quality black female comedians. "It's just a tough part of the business," Thompson says. "Like in auditions, they just never find ones that are ready." Dude, what? Just off the top of my head, I can think of several women who I watched perform at the Upright Citizens Brigade LAST WEEK who would be perfect for it. Sasheer Zamata has been killing it in the sketch world for years. Nicole Byer is great on Girl Code. And then there's Michelle Buteau, Franchesca Ramsay and Jessica Williams (who, let's be honest, would be doing more for Saturday Night Live than they'd be doing for her). And that's the list I made in under 2-minutes. Women of color (let's not forget that SNL has no Eastern Asian or Latina performers either) are underrepresented in comedy. You have to dig deeper to find them — mostly because the improv/sketch theaters where SNL scouts are overwhelmingly stocked with white people — but they're definitely there and it's a joke to say otherwise. Whatever. I've always been more of a Kel fan anyway.